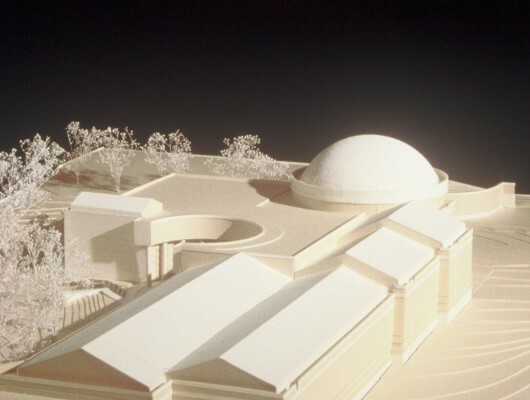 The new Earth / Space / Science Center expansion to an original complex nearly doubled the size of the existing facility. 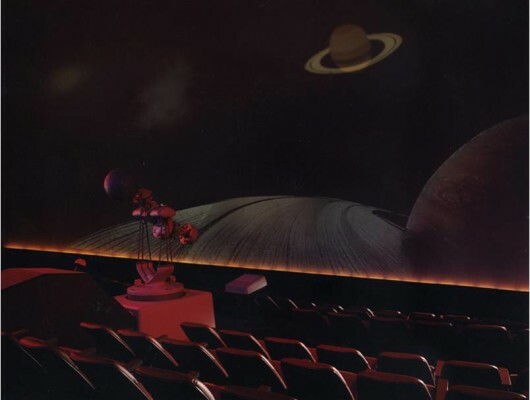 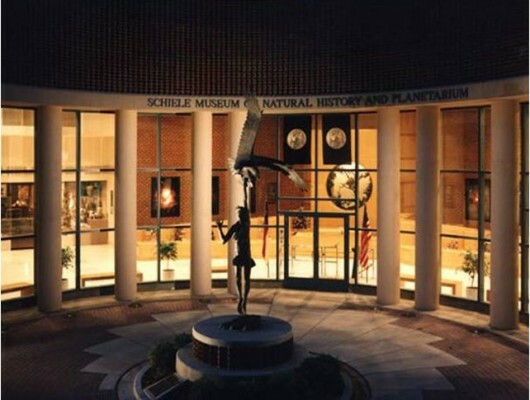 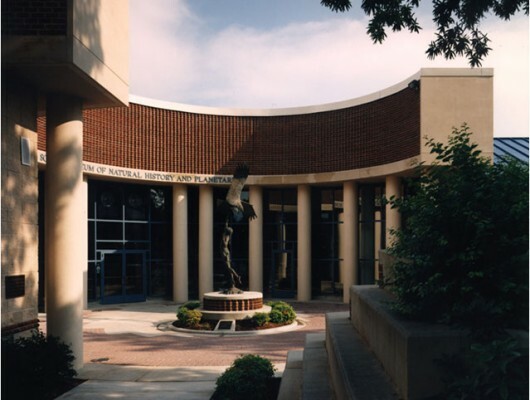 Programmatic elements include a new main entry courtyard, exhibit galleries, an auditorium, classrooms, a 50’ diameter tilted dome planetarium and administrative offices. 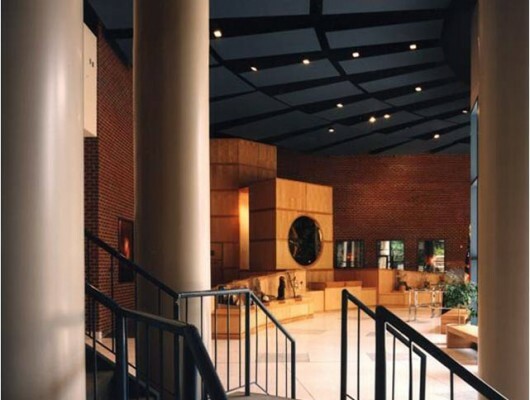 The new entrance and a system of ramps solve problems of orientation, wheelchair accessibility, and security. 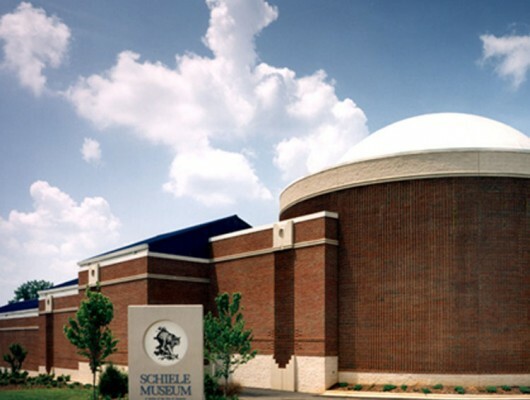 Additions and renovations were phased so that the museum could remain open during construction.